I have just been given a link to some wonderful mandalas made using flower petals and found objects. 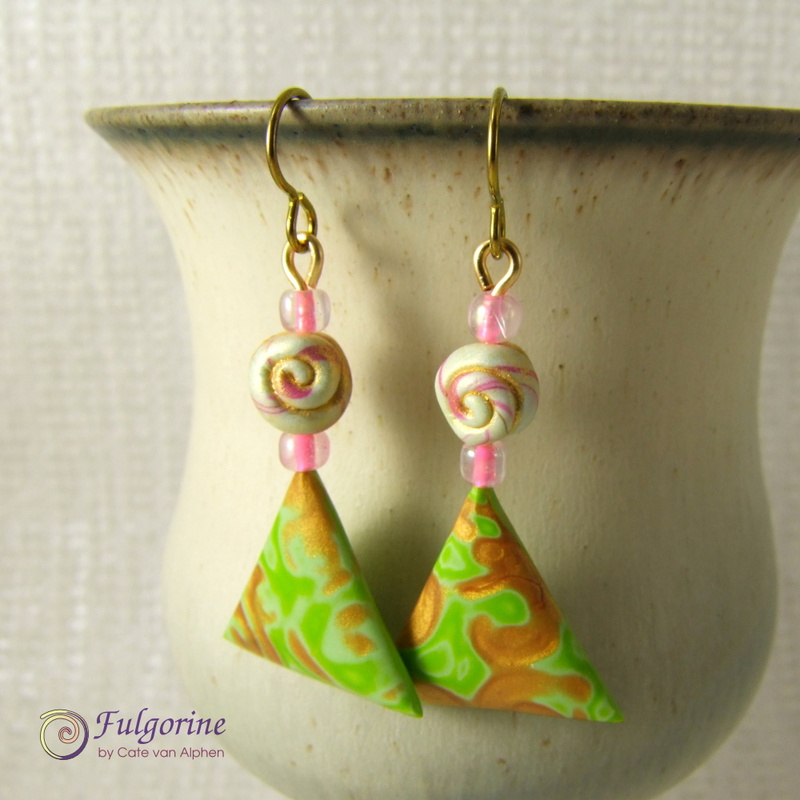 I’m feeling inspired to dig out the flower canes and try some myself using polymer clay. I found a lovely mandala tutorial a while ago, but I still haven’t tried it yet – there just isn’t enough play time in a day! Here are a two of my favourite in situ images. 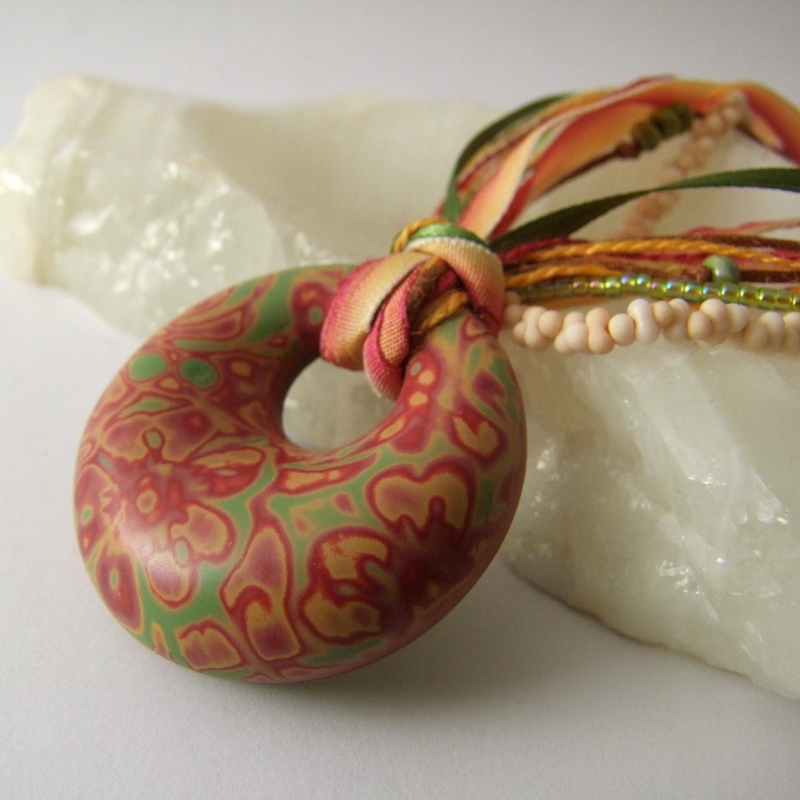 I have been having great fun making hollow polymer clay doughnut pendants, however I have found it slightly irritating that the back of the pendants end up being sucked in and not completely flat (it still looks ok, but sometimes it’s not what I want). Therefore with my latest doughnut pendant, I tried baking the backing disk before adding the domed front. This was a BAD idea. Firstly I had imagined that by using liquid clay I could get the front clay to stick to the back when I cut out the hole – this didn’t work. Also I had planned to cut out the corresponding hole in the backing while the clay was warm (I forgot this step until it had cooled completely so I don’t know if this would have worked). Besides once it was baked I decided I liked the solid back visible through the doughnut hole and I decided to keep it as a decorative feature. I drilled a small hole for stringing instead. After baking, the edges of the doughnut were mostly stuck down, but the central hole had puffed up so it wasn’t touching the backing clay (sorry there’s no picture to explain). With some struggle, I managed to stick the front of the doughnut to the back around the hole using super glue. To do this I had squished the two together which resulted in the nice flat backing disk ending up domed so that the two could meet (this is what I was trying to avoid in the first place!). The super glue had stayed stuck, and the back went back to being flat causing the front to crack and go with it. 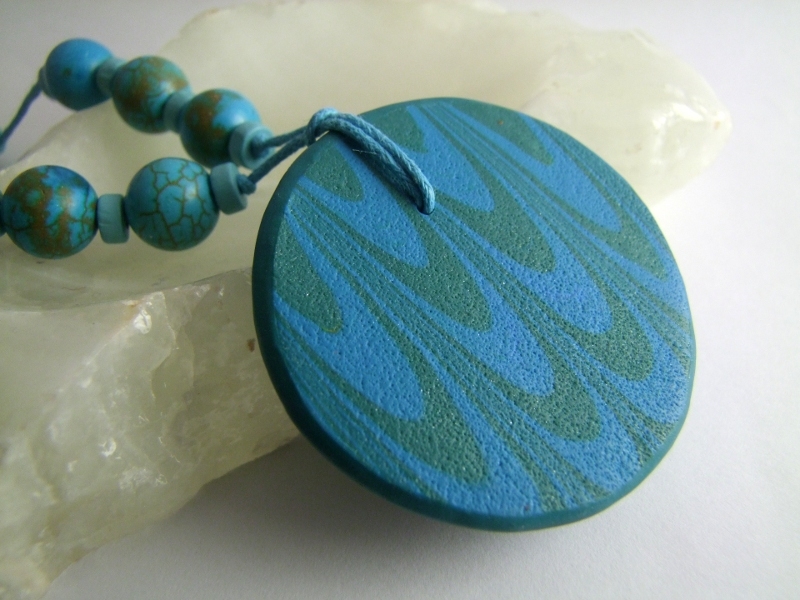 I really loved the mokume gane surface of the clay so I didn’t want to abandon the pendant. So plan C? D? (I’d lost count by now)… petals! I made three petals to cover the gap repair between the front and back, and I put a layer of micro beads around the edging. 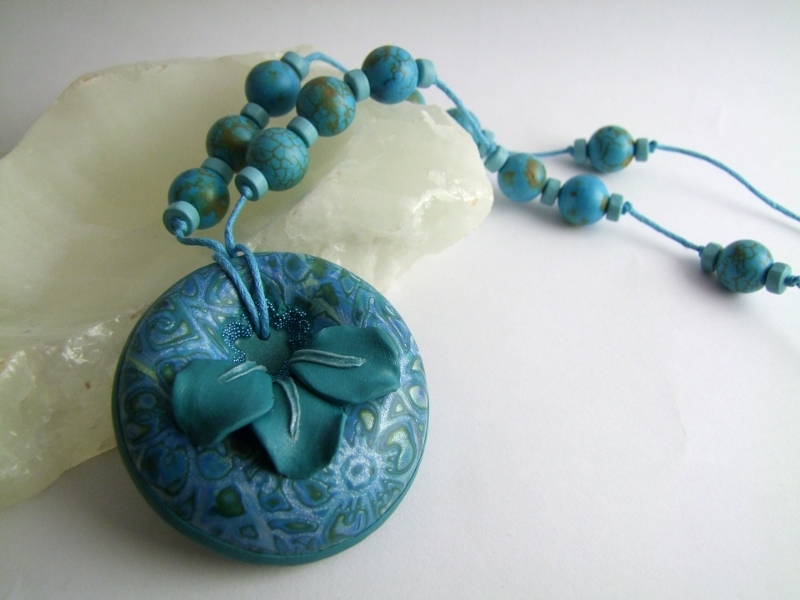 I love the final result of this pendant, but I got there the long way round. Hopefully I can find a more elegant way to get a flat back to my hollow pendants. I’ll let you know if I do.